Taiwan Semiconductor Manufacturing Co. (TSMC) has announced plans to build the world's first 3nm fab in Tainan, Taiwan. As the EETimes reports, there had been recent rumours circulating that the fab would be built in the USA, under President Trump's initiative to bring more manufacturing to the country. 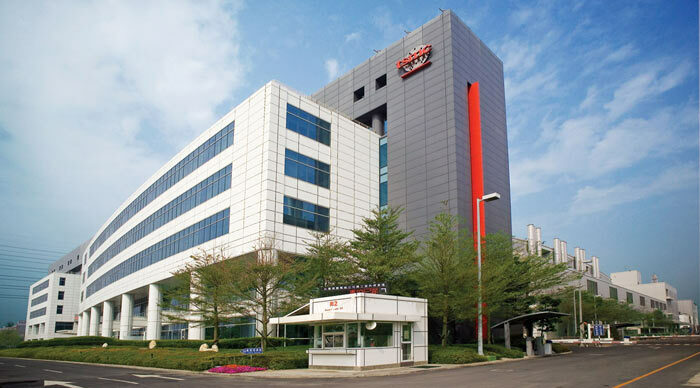 TSMC already has the bulk of its facilities in Tainan Science Park and thus will remain in this location to "fully leverage the company's existing cluster advantage and the benefit of a comprehensive supply chain," said a news article on DigiTimes. In further detail it was revealed that the Taiwanese government has pledged land, water, electricity and environmental protection support to facilitate TSMC's latest manufacturing plan. The plans to build a fab at the 5nm to 3nm technology node were first revealed a year ago. Between 300 and 400 scientists have been working on the 3nm process since that time. Last year we heard that the intention was to get the 3nm fab operational by 2022. The latest statement from TSMC, announcing Tainan as the fab location doesn't provide any updated information about timescales, unfortunately. The EETimes hints that TSMC could well move that 2022 date forward as previous estimates took public hearings on environmental impact delays into account, which could take up to a year previously. With the government commitment to resolve such issues things should progress more swiftly. Meanwhile, its 5nm roadmap is on track for a launch in the first quarter of 2019. "I will retire from the company immediately after the annual shareholders meeting in early June, 2018," Mr Chang said, revealed a company press statement. "I will not be a director in the next term of the board of directors. Nor will I participate in any TSMC management activities after the annual shareholders meeting in early June, 2018." Mr Chang founded TSMC in 1987, and pioneered contract chip manufacturing. TSMC now commands 56 per cent of this $47 billion market. The retiring chairman voiced his intention to "reserve my remaining years for myself and my family". After Chang steps down Mark Liu will be the chairman of the board, while CC Wei will be CEO. The Tesla FSD is "the best chip in the world… by a huge margin," claims Elon Musk. Next ought to be quantum computing. There will likely be some debate as to the nature of what they claim 3-5nm actually means. Intel's efforts to change the favoured nomenclature to transistors per die section or w/e, while it heavily favours them, also makes a lot of sense when you look into the growing worthlessness of “nm” as a node milestone (due to marketing).